With the Test portion of their India tour over, it is time to look back at what New Zealand achieved in the series. The Black Caps suffered a 0-3 whitewash, but there were still some positives. There were decent periods for them throughout the series, but, in the end, they were just outplayed by a better team. 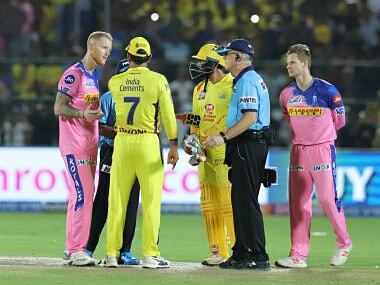 Losing every toss was a huge blow, given that first use of the pitch would have certainly helped. Martin Guptill: 4 – Having played 47 Tests, Guptill should be a lot more confident of his role as a Test player, but he is still finding his way. The key to success in Test cricket as an opening batsmen is knowing when to attack, defend and leave the ball alone. Guptill often appears to make these vital decisions at random. A career average of 29 makes sense when you watch the way he plays. In this series he was awful right until the last Test where his 72 in the first innings brought him some respectability. Tom Latham: 6 – Latham was one of the bright spots for New Zealand, making a half century in each of the three Tests. Unfortunately for Latham, and for New Zealand, he never kicked on to make a truly big score and was out in single figures in his other three innings in the series. He coped with the spin of Ravichandran Ashwin as well as anyone and had he had a more solid opening partner he could well have laid decent platforms for his team. In the innings in which Guptill also passed a fifty, New Zealand found themselves at 118-0. 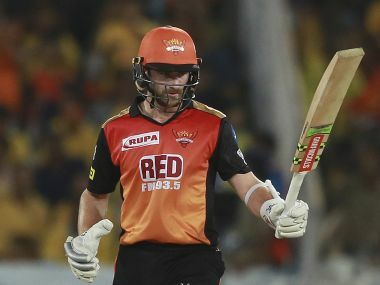 Kane Williamson: 5 – Williamson is one of the best cricketers in the world, but it was a disappointing series for the New Zealand captain. He missed the second Test with injury and managed just 135 runs in his four innings. He was dismissed by Ashwin in each of those innings as he finished the series with a disappointing average of 33.75. That was still the second best by a New Zealand batsmen in this series, but by Williamson's sky high standards, it was a poor effort. 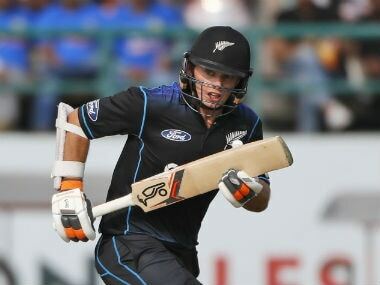 Luke Ronchi: 6 – His batting was another highlight for New Zealand. Ronchi was picked as a specialist batsman despite his more regular role of a wicket-keeper. This was done because he was considered one of the better players of spin in the side. He finished as the leading run-scorer for his team with 200 runs at an average of 33.33. Ross Taylor: 3 – Just 89 runs in six innings is a very poor return by a player as good as Taylor. He never got going, getting to 30 just twice. A high score of 36 and an average of 14.83 will be a massive disappointment to a man who is the most experienced member of this New Zealand team. Mitchell Santner: 6 – Another New Zealander who didn't do his reputation any harm was Santner. He claimed ten wickets to be the joint leading wicket-taker for his team and combined that with 159 runs including a high score of 71. For a young man on his first trip to India for a Test series, Santner showed more than enough for you to believe that he will be a bigger threat the next time he tours. BJ Watling: 4 – A poor series for Watling with the bat saw him score 111 runs an average of 22.2. His high score in the series was just 25, but he was not aided by the amount of times he walked to the crease with his team five down for not very many. His wicket-keeping was reasonable, if not spectacular. He is a better player than his returns in this series. Neil Wagner: 5 – Wagner played just two of the three Tests and he was as workmanlike and aggressive as you would expect. 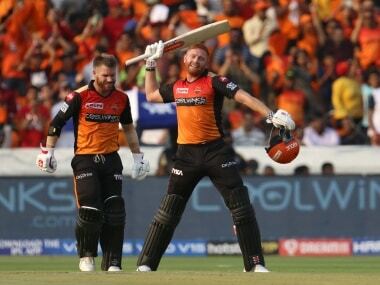 He bowled the short ball as well as anyone in the series, with the ball that dismissed Indian captain Virat Kohli on the opening day of the series being a great example of the perfect bouncer. He finished with five wickets at an average of 39.2 but probably deserved more than that. Trent Boult: 8 – New Zealand's star man Boult further enhanced his reputation as one of the best seam and swing bowlers in world cricket. He got the ball to move more than any other seamer and did so consistently. Without a doubt the best seam bowler in either team, his ten wickets at an average of 33.3 on pitches that were far from ideal for quick bowling was a great effort. Jeetan Patel: 5 – A late call up on the back of a great season for Warwickshire, Patel only made the side when Mark Craig had to go home injured. He did well enough, claiming six wickets at an average of 48.66, but it wasn't the remarkable comeback he would have been hoping for. Some excellent variation in pace kept the Indian batsmen honest but he never looked truly threatening. Matt Henry: 6 – He got only six wickets from his two Tests, but there will be times when Henry bowls far worse and gets much more. He has real pace which is an asset to any side but on the slow and low pitches that were on offer in this series, he did not have a huge amount to work with. He will only be a better player with this experience of bowling in conditions that were as unhelpful for him as you could imagine.